Wengè - The image refers to the same article in another finish. The box shows the effective finish. Triad pendant lamp, natural walnut wood finish. Frame in painted with metal finish and white silk-screened glass. Original and modern style. 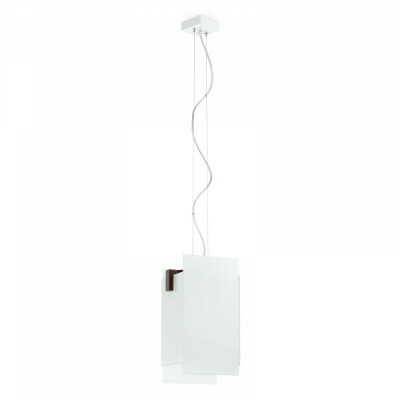 Triad lamp with ceiling or wall application, made of three glasses, size M. Lamp with walnut frame. White silk-screened glass. Perfect for interior lighting. 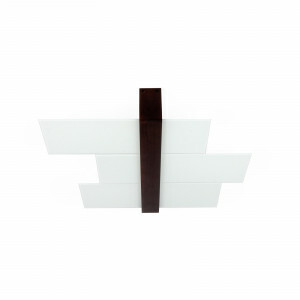 Design ceiling lamp size S, Triad series. Perfect to furnish design room. Natural walnut wood finish, three white silk-screened glasses. Frame in painted white metal finish. 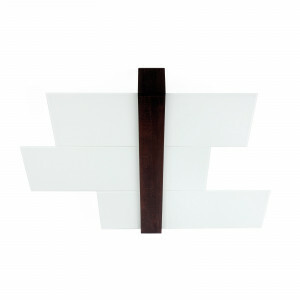 White wall lamp in walnut finish, Triad model, size M. To be applied to the wall or ceiling to create an excellent design effect. 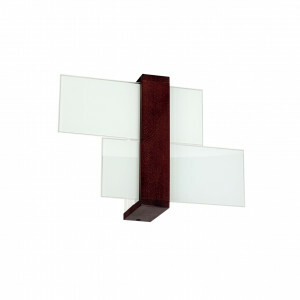 Wall lamp with three glasses, painted metal frame and natural walnut finish. Silk-screened glass of white color. 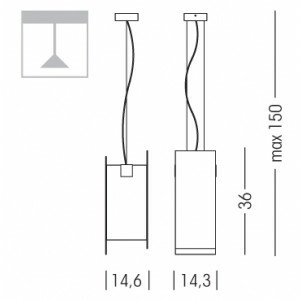 Wall lamp size S, Triad collection. 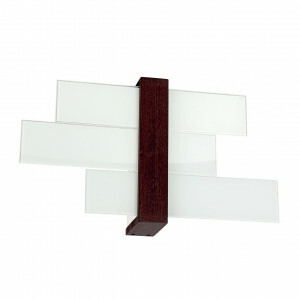 Lighting fixture with metal frame, white silk-screened glasses and natural walnut wood finish.